USMC Shufly Helicopter Flight Association, Inc. is restoring a U.S. Marine Corps Sikorsky H-34 Helicopter, flown in Operation SHUFLY. We launched this endeavor in 2012 in honor of the 50th anniversary of Operation SHUFLY, the first U.S. Marine Corps engagement in combat operations leading to the Vietnam War. This year also marks the 100th Anniversary of Marine Corps Aviation. 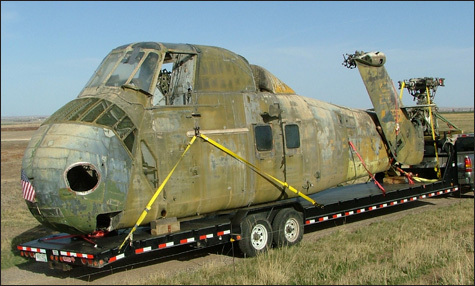 Please check back frequently and follow the progress as we restore the aircraft below is to its former glory, preserving its valiant history for generations to come.